Dec. 20, 2018 Tweet - "The House just passed criminal justice reform. This is something I have believed in for a long time. There is no reason a person who wants to redeem themselves, work hard, and contribute to their community should be deprived of that opportunity." Dec. 20, 2018 Tweet - "Proud to sign Criminal Justice Reform legislation and send it the president to become law. Redemption is at the heart of the American Idea. These reforms will make our communities safer & create a smoother path for the incarcerated to successfully reenter & contribute to society." Dec. 20, 2018 Tweet - "Secretary Mattis has served our country with honor, bravery, and integrity. I have been deeply honored to work alongside him to rebuild our military, and to support our men and women in uniform." Dec. 19, 2018 Tweet - "In this 21st-century digital age, it's imperative we provide @DHSgov the resources it needs to streamline the process of identifying terror threats. @HurdOnTheHill's Data Framework Act was signed by @POTUS and is now law of the land." Dec. 18, 2018 Tweet - ". @RosLehtinen has been a tireless advocate for the people of Nicaragua. Pleased to see her legislation putting pressure the Nicaraguan government to hold free, fair, and transparent elections head to the @WhiteHouse." Dec. 18, 2018 Tweet - "Criminal justice reform is about giving more Americans a chance at redemption. The House looks forward to sending it to the president to become law." 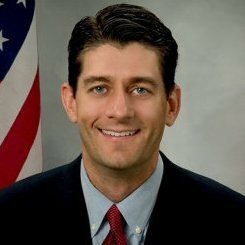 Dec. 17, 2018 Tweet - "From the first day I came to Congress, I've been fighting for comprehensive tax reform to keep America competitive. It's a cause that has been decades in the making." Dec. 13, 2018 Tweet - "Today, the House unanimously passed landmark legislation that improves accountability and transparency while addressing allegations of sexual harassment in Congress, and protects victims." Dec. 12, 2018 Tweet - "At a time when America's farmers and ranchers face steep challenges, this #FarmBill delivers certainty, expands access to broadband, better manages our forests, and makes important progress toward alleviating poverty. I look forward to sending this to the president's desk." Dec. 11, 2018 Tweet - "Reforming our criminal justice system is about redemption--giving many Americans another chance to achieve a more fulfilling future. The House has already demonstrated our commitment to making substantive reforms and we welcome the Senate's consideration of the FIRST STEP Act." Dec. 11, 2018 Tweet - "This #FarmBill: Delivers certainty for our farmers Strengthens work requirements Boosts work supports Guards communities against wildfire risks"
Dec. 10, 2018 Tweet - "This is a good day for farmers and families. The #FarmBill strengthens work requirements for our federal nutrition benefit programs, and uses savings to better train and equip our workforce--reforms we have long sought to help more Americans move from welfare to work." Dec. 8, 2018 Tweet - "John Kelly is a patriot. Service to America is part of his DNA, and our country is better for his duty at the @WhiteHouse. He has my eternal gratitude." Dec. 4, 2018 Tweet - "At 94 years of age, President George H.W. Bush lived a full life of service--to others and to his country. America will forever be grateful for his leadership." Dec. 3, 2018 Tweet - "George Herbert Walker Bush was a great leader and a good man. His memory will belong to glory. God bless the 41st president of the United States." Dec. 3, 2018 Tweet - "To the Bush family: On behalf of the whole House--Republicans and Democrats--we are profoundly sorry for your loss. And we are honored to celebrate this wonderful life with you." Dec. 3, 2018 Tweet - "As Americans, we have no more solemn duty than laying a great patriot to rest. In President George H.W. Bush, here lies such a man." Nov. 30, 2018 Tweet - "The United States stands with Israel now, tomorrow, and always. Thank you @AmbDermer for always working with us here in Congress to ensure a strong alliance between our two nations." Nov. 30, 2018 Tweet - "When I was chair of @HouseBudgetGOP, we began to change the debate with the Roadmap for America's Future. Now, all these years later, those early ideas of tax reform have become law and hundreds of millions of Americans are better for it." Nov. 28, 2018 Tweet - ". @RepEdRoyce is someone who has dedicated his career to pursuing the ideas and values underscored in America's founding documents. Political freedom. Economic freedom. Human rights. I am proud to accept his portrait into the House's collection." Nov. 28, 2018 Tweet - "The last two years, this Congress has accomplished quite a lot. Economic resurgence from tax reform. Better care for veterans from a reformed VA. Stronger, more secure nation with a rebuilt military." Nov. 14, 2018 Tweet - "Signed and sent off to the White House to become law, Legislation to strengthen America's cybersecurity with a dedicated agency under @DHSgov. This bipartisan bill is a vital piece of our national security." Nov. 11, 2018 Tweet - "Those who fought for freedom are never forgotten. To all our veterans and their families on this #VeteransDay, thank you for your service and sacrifice." Nov. 6, 2018 Tweet - "2 years ago, Republicans presented a #BetterWay to get the country back on track. It's working: Wages are rising at their fastest rate in 9 years. The economy is on track to grow at its fastest rate in 13 years. Unemployment is the lowest it's been in 48 years." Nov. 6, 2018 Tweet - "RT if you agree, single-payer, government-run health care would be a disaster. We need to save the current Medicare program for those in or near retirement, not raid it for a new entitlement." Nov. 6, 2018 Tweet - "7 million. That's how many job openings there are across the country--more jobs than people seeking them. That forces companies to pay higher wages and benefits to attract workers." Nov. 3, 2018 Tweet - "Yesterday's jobs report was unquestionably positive: Wages rising, more Americans joining the labor force, and new jobs being created. These great numbers matter--they're making a real difference in the daily lives of Americans working to get ahead:"
Nov. 2, 2018 Tweet - "From an historic overhaul of our outdated tax code to massive improvements for our military, this Congress has accomplished some of the most useful conservative reforms in decades. The state of our Union is #BetterOffNow." Nov. 2, 2018 Tweet - "All this economic progress is a testament to what Americans--families, workers, and business owners alike--can achieve when government empowers them to succeed rather than getting in the way." Oct. 31, 2018 Tweet - "Good news, Wages and salaries have increased by 3.1%--the highest level in a decade." Oct. 29, 2018 Tweet - "As we face 21st-century challenges, robust cybersecurity is vital to our national security. Pleased to nominate @RepGallagher, Dr. Ravich, and Mr. Cilluffo to the Cyberspace Solarium Commission to develop a clear path forward for U.S. cybersecurity policy." Oct. 29, 2018 Tweet - "Our hearts are with the Jewish community during this heavy time. Grateful to @POTUS for traveling to Pittsburgh today. Anti-Semitism has no home here, and we stand together against this hate."